Paul Rutman Paul Rutman has performed in the world's major concert halls including Carnegie Hall in New York, Orchestra Hall in Chicago, Los Angeles' Ambassador Auditorium, The Great Hall in Moscow, Shostakovitch Philharmonic Hall in St. Petersburg, Le Têatre des Champs-Elysees in Paris, The Palais des Beaux-Arts in Brussels, The Concertgebouw in Amsterdam, and as soloist with the Moscow, St. Petersburg, Kiev, Bucharest, Estado de Sao Paolo, Amsterdam, Paris O.R.T.F., Strasbourg, and Brussels Philharmonics. He has appeared with leading conductors including Gennadi Rojhdestvensky, Mariss Janssons, Evgeny Svetlanov, Eleazar de Carvalho, and Theodore Gushelbauer. Eugene Ormandy wrote of his playing, "Even among the many fine pianists before the public today, Paul Rutman stands out. He is definitely one of the truly outstanding pianists." Mr. Rutman received his early training with Mrs. Simon Barere, wife of the celebrated Russian pianist, and the Viennese virtuoso, Robert Goldsand. Both Fulbright and Rotary Fellowships took him to Europe where he worked with Jacques Février at The Paris Conservatoire as well as at The Royal Academy of Music in London. He completed his studies at The Juilliard School in New York with Sascha Gorodnitzki. 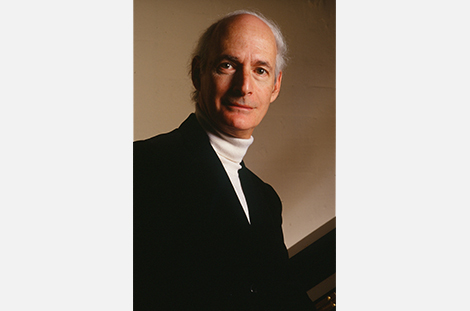 Mr. Rutman was the first pianist to be the recipient of a doctoral degree from The Juilliard School. A laureate of the Tchaikovsky Competition in Moscow and The Marguerite Long Competition in Paris, Mr. Rutman's performances have won critical acclaim in both the United States and abroad. The New York Times described him with the headline, "A Winning American Pianist," and said of his artistry, “A quite beautiful performance. Rutman represents his generation with virtuoso playing and no small measure of sensitivity." In Chicago, Robert C. Marsh of The Chicago Sun-Times wrote: "Every distinguished artist is an individual, but if comparisons are offered, I am inclined to regard Rutman as America's reply to Lazar Berman. He is an old-fashioned fire-eating virtuoso. But the telling work of the evening was Schubert's Moments Musicaux. It had to sing and offer a touch of melodic grace, and Rutman beautifully brought those qualities to it." And in Russia, where he has toured extensively at the invitation of the Russian Ministry of Culture, Sovietskaya Musica stated, "Rutman left the Moscow auditorium with rare jewels of interpretation." Mr. Rutman has recorded for Sony Classical. Columbia, Vox, Melodya, T.V.A.C. Beijing, and Musical Heritage. His recording, Russian Piano Music, won a prize as Best Recording of The Year. Stereo Review wrote of his playing: “Rutman is a superb representative of that Russian-American style of keyboard grandeur. He has fingers of steel but a Slavic soul.” Paul Rutman Live In Moscow has recently been released on Sony Classical. Paul Rutman made his Carnegie Hall debut in Isaac Stern Auditorium. The headline of The New York Daily News read: "Rutman: Big New Piano Find" and continued: "Rutman is a crazily wonderful recreative performer whose artistic cousin is Vladimir Horowitz."